You may or may not like this shot. I absolutely LOVE this shot. Yeah, I am publicly "liking" my own work. I shot this while doing a lil' plane spotting recently at the Charlotte (CLT) airport. I know I have a weird fascination with airplanes. <shrugs> Anyway, what I love about the photo was the fact that it was not my original vision. 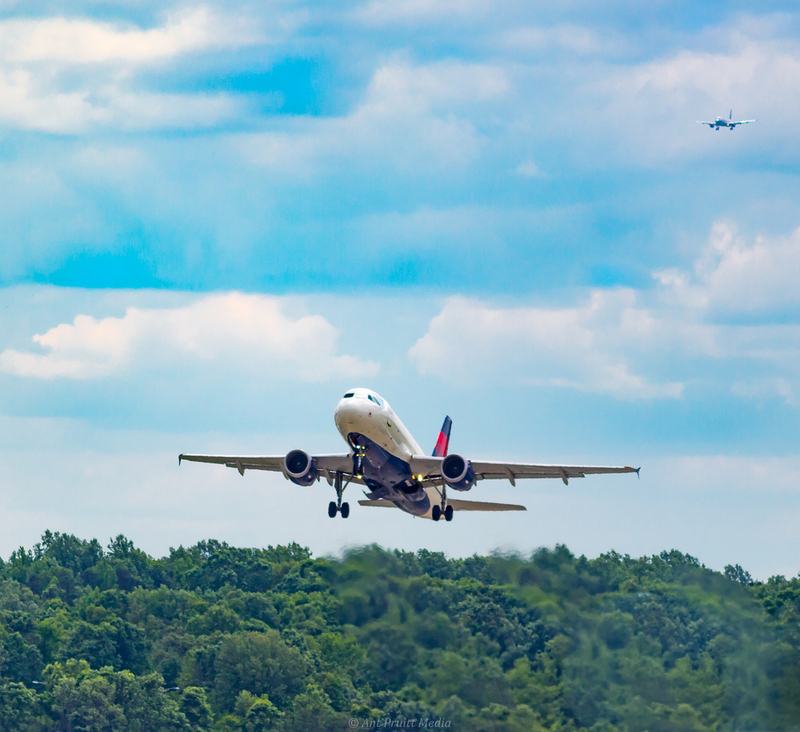 I was just standing there and thought I'd capture a photo of a Delta plane taking off. I actually shared a similar photo on my Instagram page (gimme a follow over there). When I shot this, I didn't realize another plane was incoming. My processing of this photo allowed for me to frame it up and give the "coming and going" feeling. Lots of cropping was done. Another thing I didn't initially notice with my own eyes was the exhaust coming off of the jet engines. I thought it enhanced the motion of the photo. I enjoy sitting out at the airport, if you didn't already know. It's fascinating for me to see the different aircraft coming and going. It's fascinating to hear the aircraft coming and going. Most of all, it's just peaceful for me out there.